Ground Source is able to deliver the highest quality sod to your business or residence throughout most of Central Florida. 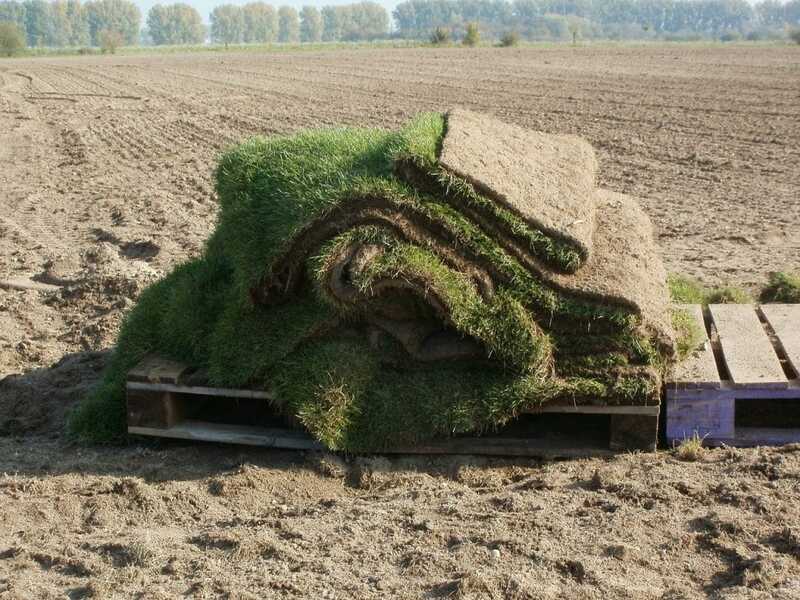 Included in your sod delivery is a care kit to ensure the grass stays as beautiful as the day it is delivered. We have been a leading provider of landscape solutions including sod delivery, landscape design, landscape installation, hardscape design and installation, irrigation, and landscape lighting design and installation in Orlando. We not only take pride in the quality of our work but also in the quality of our products from sod to landscaping and irrigation products. Give our sod experts a call anytime at 407-378-5366 to receive excellent quality service at an affordable price in your area. We also have financing options to make paying for your sod delivery easy. Our Orlando sod is cut fresh the day it is scheduled for delivery. You'll be able to see, smell, and feel the difference! You will never get sod that has been left on a pallet to rot or dry. Sod removal at your Orlando home is not an easy task, but we at Ground Source have the necessary knowledge and tools to do it effectively and efficiently. Sod removal requires you to have experience and specialized tools, as well as muscle to get it done. Once you contact us for a sod removal job, we come out to the site and assess the size of your property and other factors to see what will be involved to remove the sod correctly. After we have completed the assessment and have received the go-ahead, we begin the sod removal process. The first step in the process is to kill what you currently have by applying Round up to the old sod. Depending on the sod, killing everything may take between 2 to 3 applications. Once everything is dead, we use our tools to remove the old sod. Removal requires a lot of heavy lifting and expertise so that we do not destroy the ground which makes the installation of the new sod more difficult. If we do create holes or inconsistencies in the soil levels, we fill in the areas and grade the yard so that it is ready for the new sod. After we have successfully removed the old sod and graded your yard, you are almost ready for the installation of the new sod. We will first take measurements and ask questions to see what type of sod will work best in your yard. 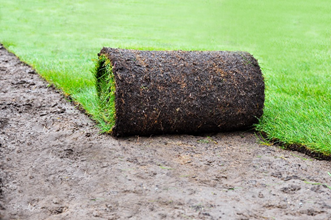 With our knowledge and expertise, we can recommend the perfect sod. 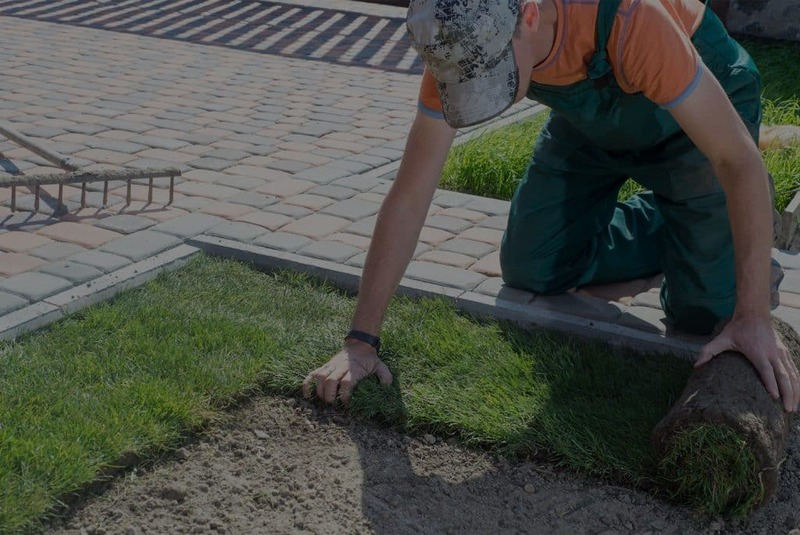 We take into consideration how much maintenance you as the homeowner are willing to put in to take care of the sod, how much shade and sunlight there is, and if there is an irrigation system on the property (or if an irrigation system will be installed). Next, we prep the area by ensuring all the weeds have been removed and we use our tracked grading equipment to guarantee the area is ready for the placement of the new sod. We can then either install a new irrigation system or upgrade the one you have before we lay the new sod. We highly recommend an updated or new irrigation system as it will help you ensure your new lawn is receiving the right amount of water. After we install or update your irrigation system and place the new sod, we set the irrigation timer and provide detailed instructions on how to take care of your new lawn. After laying the new turf, we offer an optional 30-day warranty. We can also take care of your sod on an ongoing basis by treating it with fertilizer, herbicide, and pesticide. There are several factors which affect the cost of the sod for your Orlando lawn. These include the size of the lawn as well as the type of sod. Of course, the larger your lawn, the more you will spend on the sod. Additionally, the type of sod you purchase will also affect the price you pay. Higher quality sod will cost more than that of lower quality sod. When we discuss the various types of sod, we also go over how much it will cost per square foot as well as how much the installation will cost. We offer free evaluations and special six-month financing, with approved credit, to our clients to make the cost of the sod and installation more affordable. To schedule a free onsite evaluation, you can click here. To learn more about how much it will cost for your Orlando sod, call us at 407.378.5366. If you're unsure if we service your area, please contact a landscape professional at Ground Source. Floratam St. Augustine, Seville St. Augustine, Palmetto St. Augustine, Bitter Blue St.
*Availability varies. Contact our sod experts for an updated list of sod available for delivery.